Reading into the Mississippian/Woodland periods suggests that birds and other animals were very important in the belief systems of the cultures in the mid-western United States. 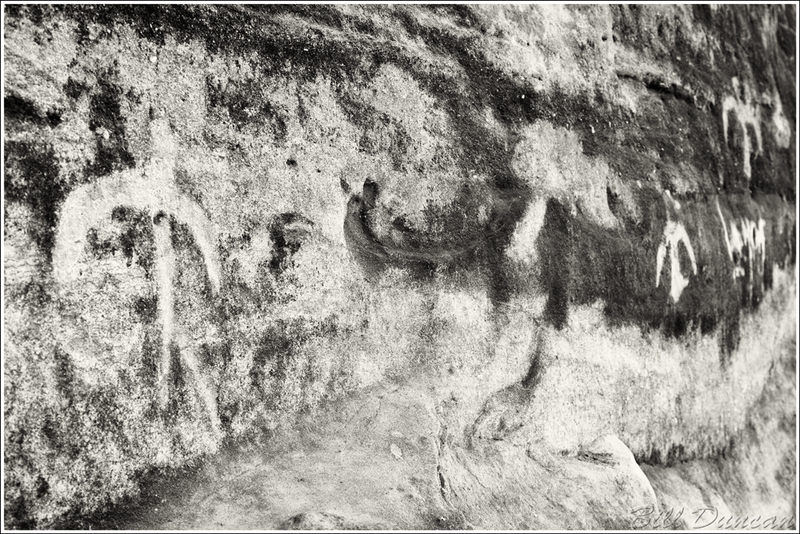 Rock art showing birds in a multitude of forms is found throughout Illinois, Missouri and Arkansas. This definitely looks like a raccoon track and it most likely is. Being a nature super-freak, naturalist, hippie type, these periods of history or world cultures that existed then and now fascinate me. Almost every single experience these people were exposed to was set in nature and the only explanation there was for any phenomena they encountered was embodied in nature. Sure, via their myths and imaginations they thought up “super”-natural explanations, but there was no other answer that led these folks from nature as the true alpha and omega. These days people in most of the world can go their entire lives without knowing nature except for the resources it provides that sustain them in their daily grind. I get so tired of the apologists whose response to anything that counterpoints “progress” is by saying something like “humans are a part of nature as well”. At one time in human history this was the case. I believe that with 99% of contemporary people, this is no longer true. 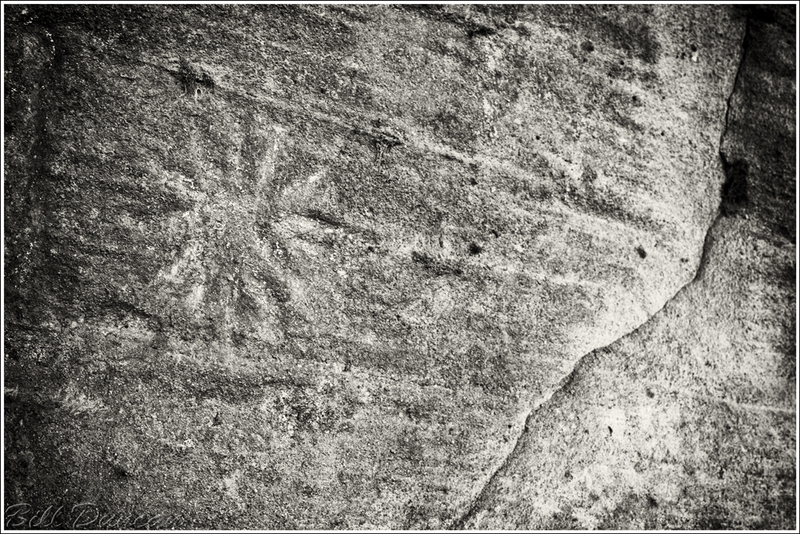 Another natural representation, a star is often represented in pre-colombian rock art. It is thought that sites with astronomical representations mean this was an important spiritual location for those that made them. Petroglyphs and pictographs. What’s the difference? 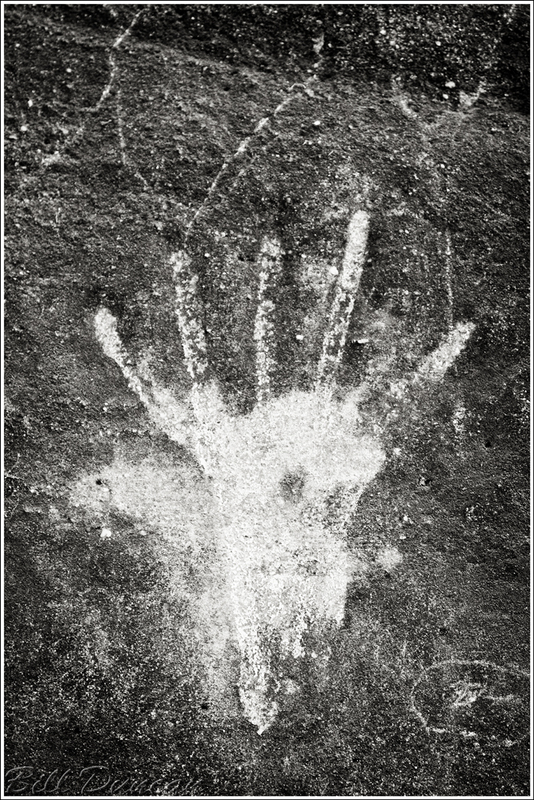 Pictographs were simply painted on the rock surfaces, while the less frequently encountered petroglyphs are carved or chipped into the rock. I have read that these were originally painted over in a red-colored paint and that this helped maintain their condition over the centuries. 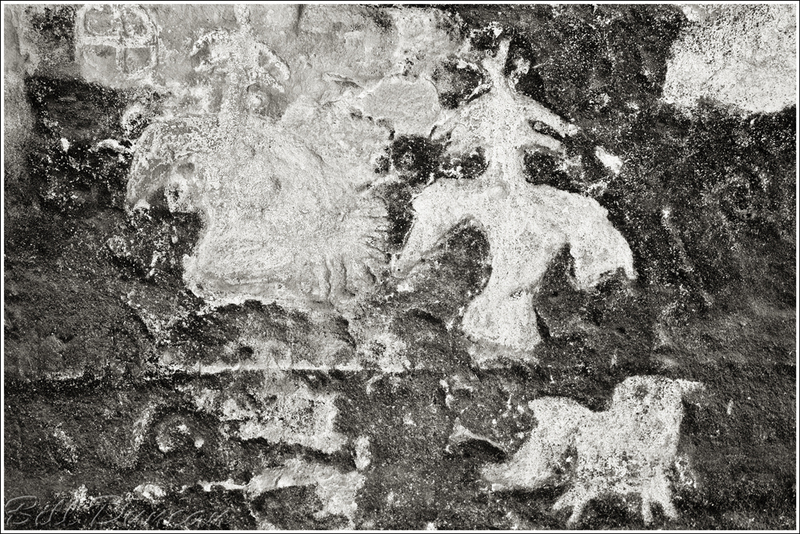 The petroglyphs pictured here were mistreated by those who were attempting to preserve these artifacts and most of the original paint is now missing. 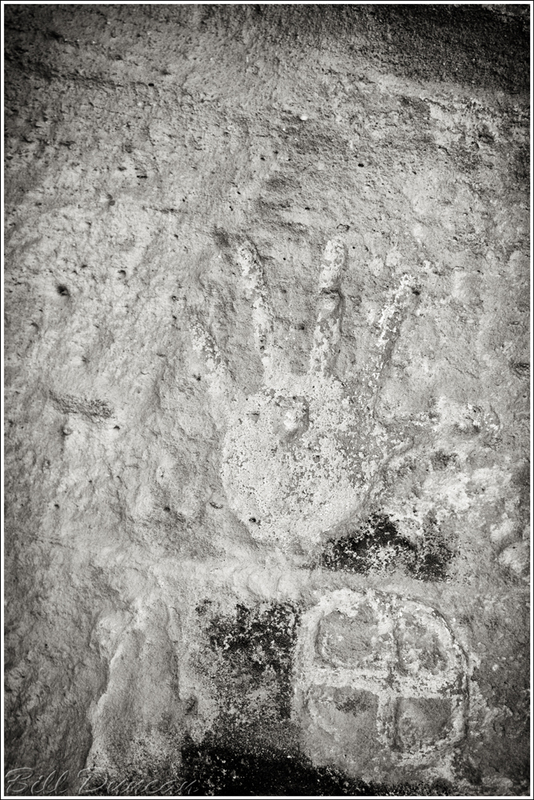 Well, that’s all I have from the Fountain Bluff Petroglyph site. As I was commenting to a friend of mine recently, I never come away from my first visit to a location with the images I really want. To get what I find are the best compositions it seems that I need to visit a location several times to get to know it better. I also realize I did not see all the artifacts at this site and I look forward to exploring more around these bluffs.